Animal Wildlife | African Forest Elephant | The African forest elephant is the largest known land mammal on Earth, with male African forest elephants reaching over 3.5 metres in height and the female African forest elephants around 3 metres. The African forest elephant mainly lives in central and southern Africa in nomadic herds that wander the plains and grasslands of Africa grazing for food and searching for waterholes. The African forest elephant has no natural predators to threaten its survival, mainly due to the African forest elephant's sheer size. African forest elephants can be seen co-inhabiting in the African wilderness with other large mammals and birds, relatively peacefully. Sadly, due to an increase of outside interest in Africa and its exotic wonders, the African forest elephant population took a devastating decline towards extinction. 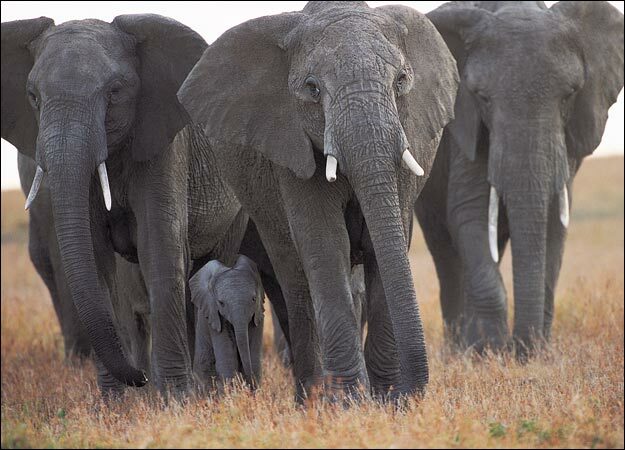 In 1989 a worldwide elephant ivory hunting ban fell into place, meaning that the African forest elephant population has fortunately begun to recover. The tusks of an African forest elephant can grow to nearly 2.5 meters long and generally weigh between 50 and 100 pounds, which is about the same as a small adult human. The African forest elephant uses these immense tusks for digging for roots in the ground and to strip the bark of trees. 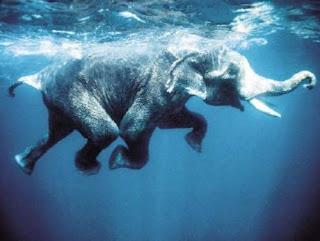 The African forest elephant also uses its tusks to defend itself from predators such as lions, and to fight with other male African forest elephants during the mating season. There are thought to be two species of the African elephant which are the African bush elephant and the African forest elephant. Although these two elephant species are very similar, the African bush elephant is considered to be bigger in size than the African forest elephant. The African forest elephant is thought to also have rounder ears and straighter tusks than the African bush elephant, and it has been also noted that the African bush elephant and the African forest elephant have a different number of toe nails. 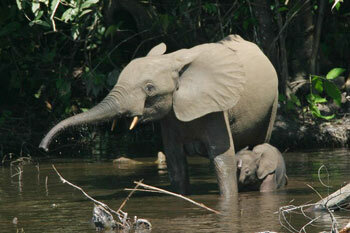 African forest elephants have four molar teeth each weighing about 5.0 kg and measuring about 12 inches long. As the front pair of molars in the mouth of the African forest elephant wear down and drop out in pieces, the back pair shift forward and two new molars emerge in the back of the African forest elephant's mouth. African forest elephants replace their teeth six times during their lives but when the African forest elephant is about 40 to 60 years old, the African forest elephant no longer has teeth and will likely die of starvation, which is sadly a common cause of death in the African wilderness. 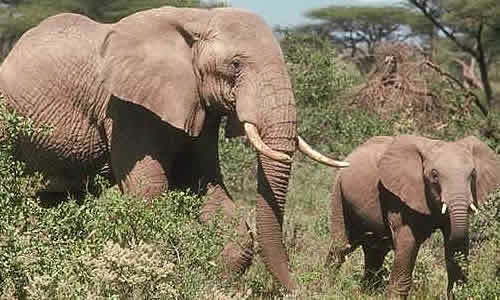 Females African forest elephants reach sexual maturity (are able to reproduce) after 10 or 11 years, and male African forest elephants often don't reach sexual maturity until they are nearly 20 years old. 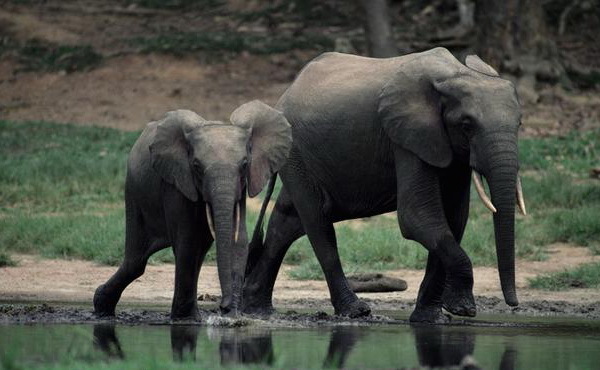 After a gestation period of up to 2 years, the female African forest elephant gives birth to a single calf (twins have been known but are extremely rare). The African forest elephant calf is nursed for 2 years and will remain with the herd until it is old enough to support itself. It is at this point that the tusks of the African forest elephant calf will be starting to grow. Today, although recovering, African forest elephant populations are still threatened from increasing levels of illegal poaching and habitat destruction. Deforestation in the African forest elephant's territory means that the African forest elephants lose both their food and shelter making them more vulnerable in the wild. 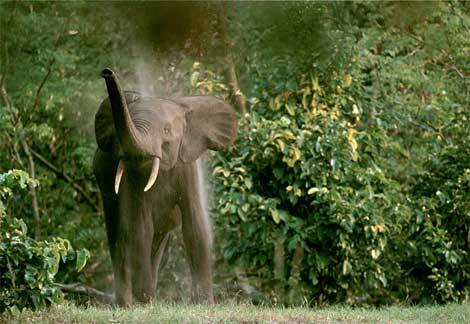 African forest elephants are also constantly threatened by poachers hunting the elephants for their ivory tusks. 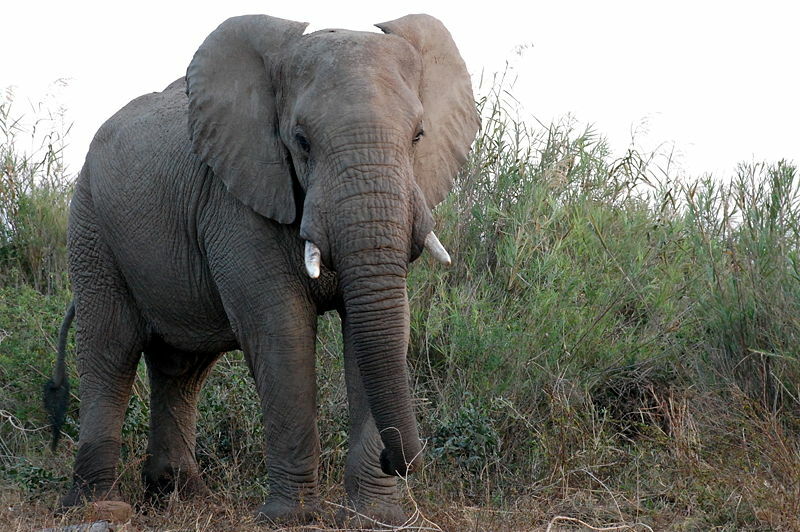 0 Response to "African Forest Elephant"